Our summer-long feature, hosted by myself, Fiction Folio, and Rather Be Reading, continues this week! I love a good romance, especially one set during the summer. I decided to pick a part different elements, which I think make for a good summer YA romance, in the stories I read. There's something magical and engaging about a summertime romance that transports your heart to another place. That first time falling in love feeling that sends your heart fluttering. 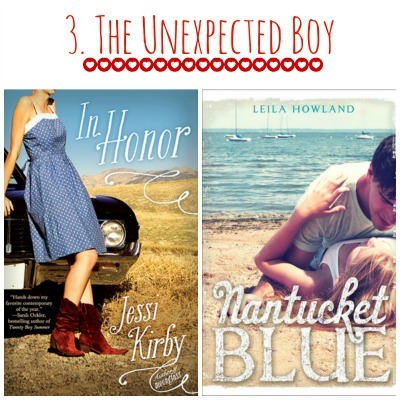 From the setting, to the boy, and all the feelings in between -- summer romances are my favorite! 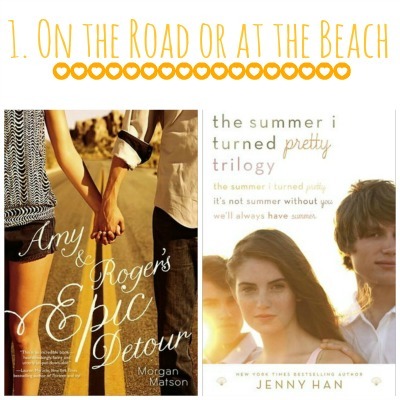 Whether the romance takes place on the road, or at the beach, both of these places set the scene for sweet summer romance. I loved the adventures that Amy & Roger physically went on across the US, but it was their personal adventure bringing them closer together that really touched my heart. So much tension surrounded Belly and the boys she grew up with at the beach, Conrad and Jeremiah. But as they matured, they realized that childhood tension quickly turned into a blossoming romance - but with which boy? 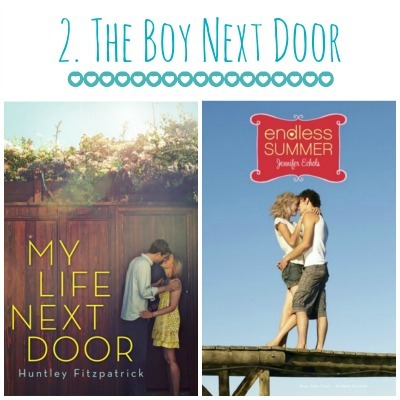 There is something about that boy, just next door, that sets the tone for a delicious summer romance. Jase climbed Samantha's trellis, that not only opened up to her window, but to her heart as well. Lori has plans to make one of the Vader brothers jealous, but finds herself falling for the other Vader brother - both who live just a boat dock away. It's an unspoken rule that sibling's best friends, and a best friend's sibling are off limits, but sometimes the unexpected romances are the ones that leave the summer hot and steamy, long after the sun goes down. Honor sees Rusty as just her brother's best friend, someone who's accompanying her on the road to fulfill a wish her brother granted her. But what she ends up with is an unexpected romance that neither saw coming. Cricket finds her way to Nantucket Island, hoping to create the summer she always envisioned, only to find an unexpected romance with someone who's bringing her dreams to reality. 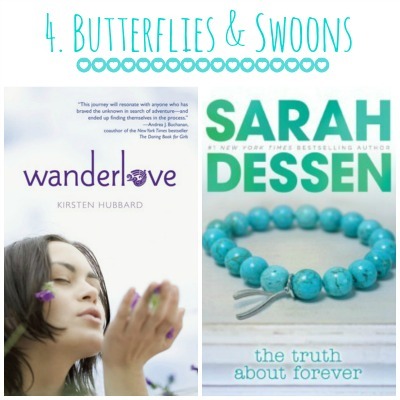 A summer romance isn't complete until it brings the butterflies and all the swoons! Bria isn't in the market for love, as she's backpacking through Central America. So it comes as a surprise when she meets Rowan along the way, awakening butterflies swarming in her tummy. Macy is attempting to manage her perfect life, not detouring from her perfectly planned schedule. Then Wes shows up, sending all her plans out the window and bringing with it all the sa-woon! Sometimes it takes a new love to recover from the pieces of a broken one. Clem is sailing with her family for the summer, nursing a broken heart and hoping to sail away from all her troubles. When she meets James along the way, he not only gives her something to look forward to, he slowly guides her in putting the pieces back together one by one. Chelsea is spending her summer in Historical Colonial America, hoping to put the past behind her. What she ends up finding is someone who could potentially be a part of her future, too. What ingredients do you look for in a summer romance? 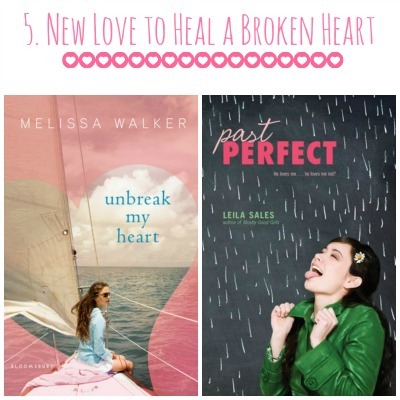 Don't forget to check out Estelle + Magan tomorrow for more Sweet Summertime Reads & again on Thursday with Tara! Love this post! Road trips are definitely auto summer reads for me. Setting is really important, so yeah beach, lake, vacations, foreign settings etc. basically it's an escape. I also really love reading about people experiencing firsts, especially first loves. And lastly, a bright fun cover with a description to match. I just bought a couple Terra Elan McVoy books on Estelle's recommendation and those are a perfect example. I have not read any of these. Must change that this summer! I like SO many of these. So glad you included NANTUCKET BLUE. Unexpected boys and road trips are my favorite I think. Although, if you asked me in 10 minutes, I would probably change my mind. I have Wanderlove on my shelf - must get to it this summer! I love road trip and vacation stories in the summer. 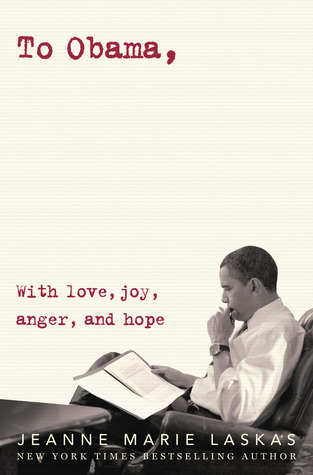 And I'm currently reading In Honor and enjoying it so far. I love Golden by Jessi Kirby so I'm pretty sure I'd love this one too!